Sleepytime. Bathtime. Anytime. Mellow Baby Whipped Body Butter is specially formulated for baby’s sensitive skin. 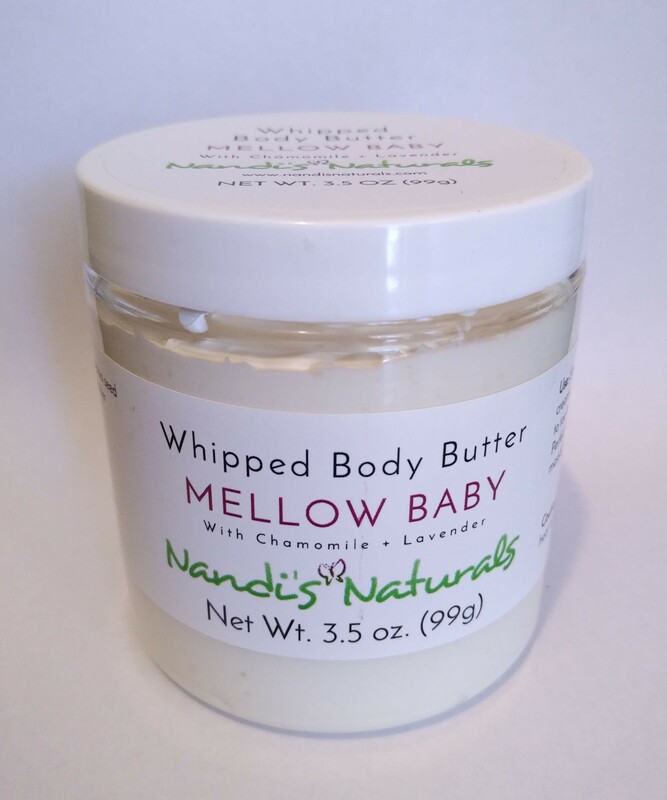 This creamy, absorbent whipped body butter containing chamomile extract and lavender essential oil can be used from head to toe to help keep baby moisturized and mellow. Make this softly scented butter a part of your baby’s daily routine. 3.5 oz. or 7.5 oz. Caution and Shipping Note: This is a whipped product and should be kept away from extreme heat and direct sunlight. Shipping of this product during summer months may result in melting or separation, therefore we are unable to guarantee the condition of whipped products upon delivery. Should the product melt, stir gently with a clean, dry spoon (being careful not to introduce any water) and place in the fridge for a few minutes to stiffen. 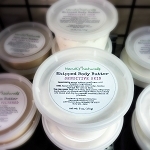 While the consistency will have changed, the butter retains its moisturizing qualities. Here's another method for returning your whipped product to its former consistency. This baby butter keeps my children soft and this butter is essential in the winter! I love the chamomile, it even makes me mellow. I massage it on after their night bath, a ritual with a book and they fall right to sleep. Any cracks or dry spots and the next day, their skin is relieved. Not just for babies, it is great for all children! I absolutely love this body butter. I bought it for my 14 month old and love the fact that it’s safe and all natural. It smells light, fresh and clean and leaves my baby’s skin soft and hydrated. I will definitely reorder.